This post brought to you by Safeway, Inc.. The content and opinions expressed below are that of Mom Fabulous. During the summer months around our home, it’s non-stop kids playing outside and embracing the freedom that this season brings. This means a nice steady flow of kids coming in and out of the house for drinks, because when it’s 90 degrees outside and you’re running around – you get thirsty! What’s the solution to keep them from coming in and out so much? A drink station of course! I headed to our local Randall’s, a Safeway banner store, and picked up the new COUNTRY TIME LEMONADE STARTER Drink Mix and the new KOOL-AID EASY MIX LIQUID. I also purchased a container of strawberries and a few lemons. 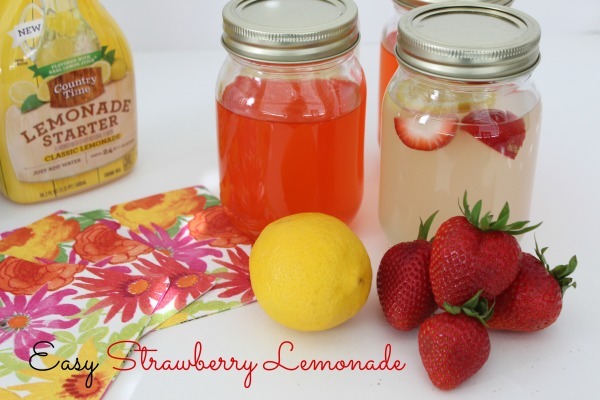 I love serving lemonade with sliced up lemon and strawberries because it not only taste great, but it looks fun! These two new drink mixes make serving drinks so easy. Each makes 3 pitchers or 6 quarts. All you do is add water and mix! 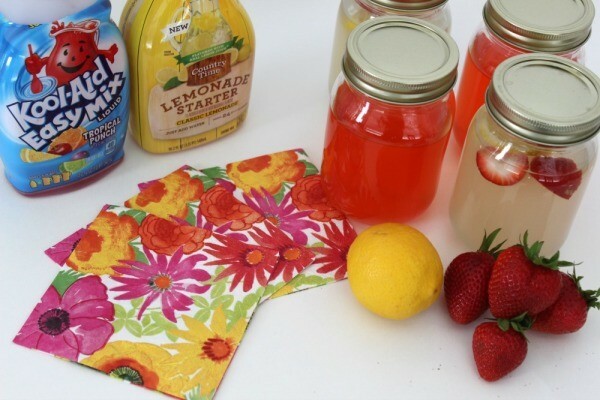 The Lemonade contains 5% lemon juice when diluted with water as directed. The Kool-Aid has 11 g of sugar, compared to the 22g you’ll find in sodas. You can prepare a pitcher full or like I did, do individual glasses. 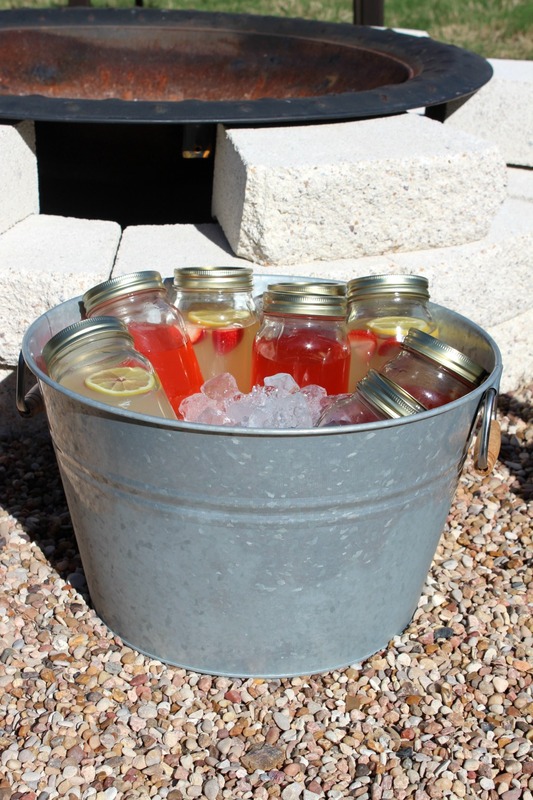 I love using mason jar glasses, well for everything, but especially for a drink station like this one. 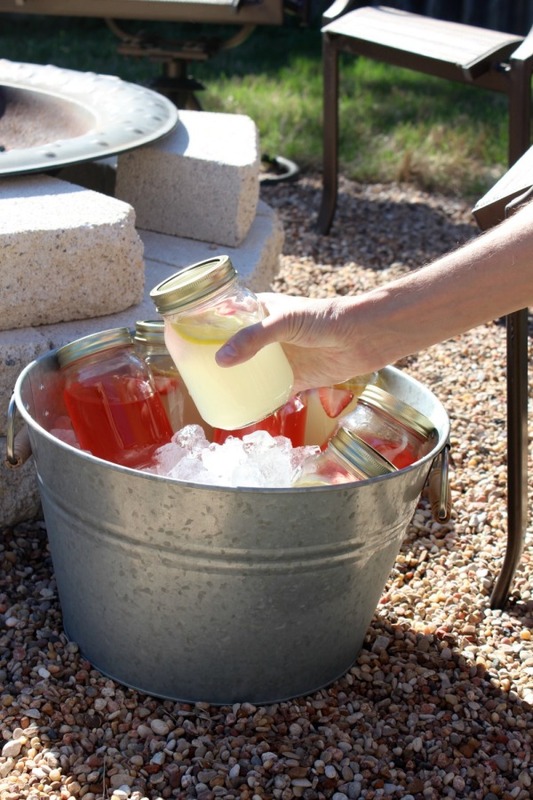 I mixed up the drinks, added some fruit, put the lids on and placed them in a bucket of ice. This makes it very convenient for anyone to grab a cold drink and they can stay out for quite awhile, getting colder and colder – which is so nice on a hot day. A drink station is also a great idea for a party. Just set it up on a table and fill it with your mason jar drinks. You can change the color of the drinks you serve to match the party and also add festive touches like ribbon or twine tied around the glasses. As I mentioned, I purchased these two new products at our local Randall’s store. Shopping at Randall’s can be a quick trip or an experience – your choice. What do I mean by “an experience”? Well, when you walk in you’re greeted by a Starbucks. I saw several ladies casually shopping with a cup of coffee in hand. How nice! There’s also a cafe area with tables and soft chairs where you can eat something from their amazing deli and salad area. Since I try not to shop hungry, I think next time I’ll grab a bite to eat and a coffee and then shop! If you’re like me and you love to try new products, Randall’s makes it super easy to spot what’s new with their “Discover What’s NEW!” tags. 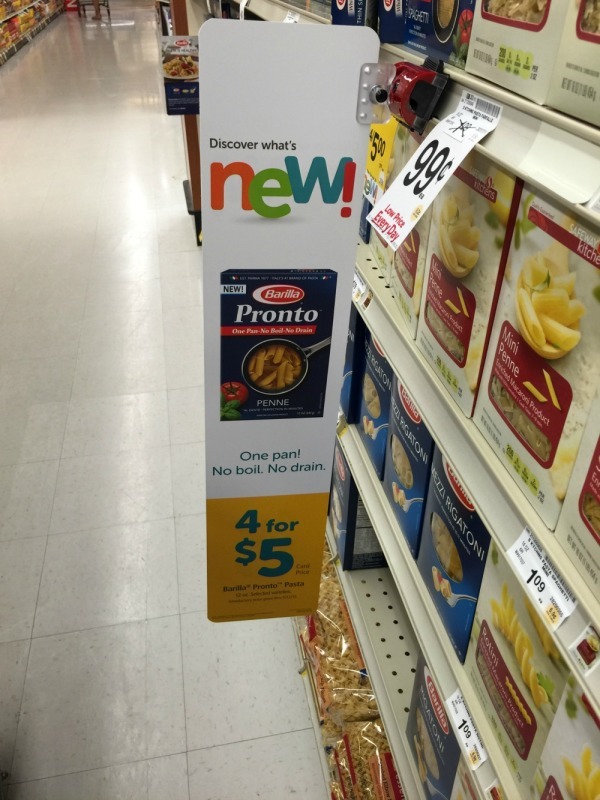 I snapped a picture of the one by the new Barilla® Pronto™ Pasta, which I can not wait to try! This new product will help you have a pasta meal on the table even faster. All you need is a pan, some cold water and 10 minutes. Just add a Barilla® sauce, seasonings, vegetables and meat of your choice and Voila! – dinner is served. I picked up a couple of more New! items from Randall’s that I’m eager to try. You may have heard of or even tried Silk® Almond Milk. 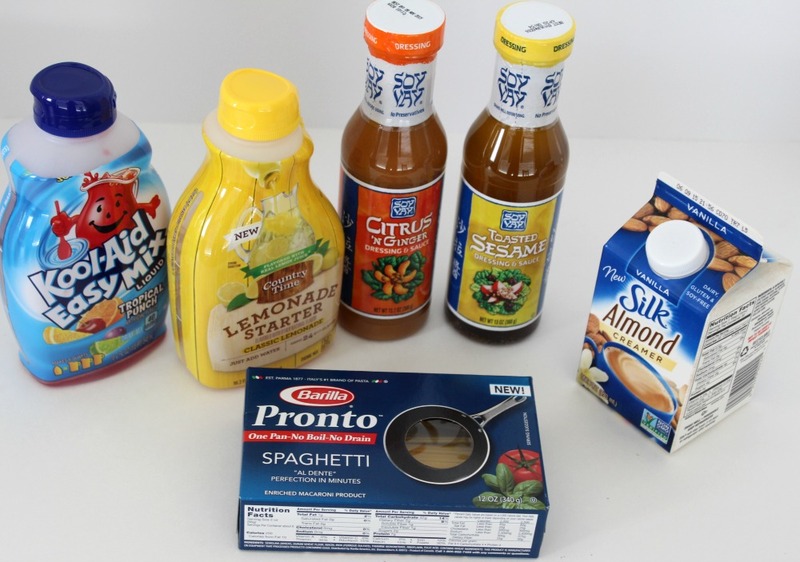 Well, now they have a new Silk® Vanilla Almond Creamer! You can perk up your coffee with the taste of almonds and vanilla. It adds a light sweetness to your cup and it’s dairy free. You’ll find it right next to the other creamers. I also purchased two new Soy Vay products: Citrus & Ginger Dressing & Sauce and Toasted Sesame Dressing & Sauce. They are the perfect blend of Asian and Jewish deliciousness and add enriched flavor to your salads and other foods. 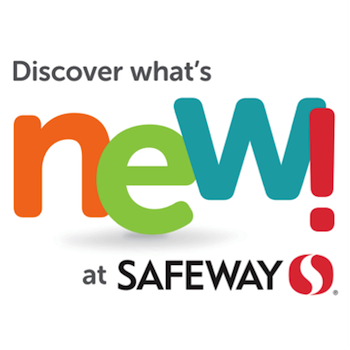 Just head into your local Safeway or Randall’s and look for their New! tags to discover what’s new at a great value. Don’t have a Safeway or Randall’s? No worries! Other Safeway banner stores include Vons, Pavilions, CARRS and Tom Thumb. Are you ready to entertain those kiddos this summer? Set up a drink station outside to keep them hydrated and happy! Oooh, I love Strawberry Lemonade. And they look just darling the little mason jars. I love it!